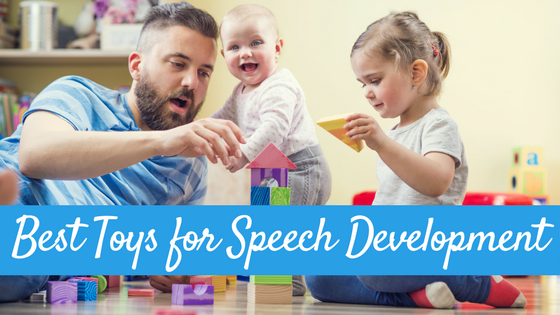 When we are talking about young children’s speech and language skills, it is important to think of the child in terms of the skills the child currently has (rather than chronological age) so that interventions can be best built upon these skills. 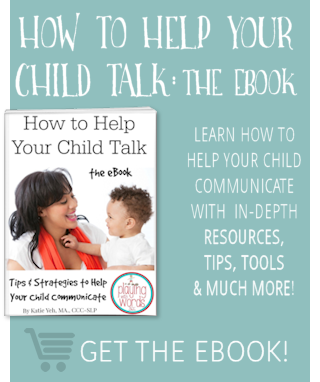 Knowing what stage of communication your child is currently in also helps YOU as a parent know how to best help your child communicate at home. The Discoverer – These children react to how they feel and to what is happening around them, but have not yet developed the ability to communicate with a specific purpose in mind. These children may squeal with delight when being pushed on a swing (reacting to the swinging) but have not yet developed the ability to communicate that he wants MORE swinging. The Communicator – These children send specific messages directly to a person, without using words. 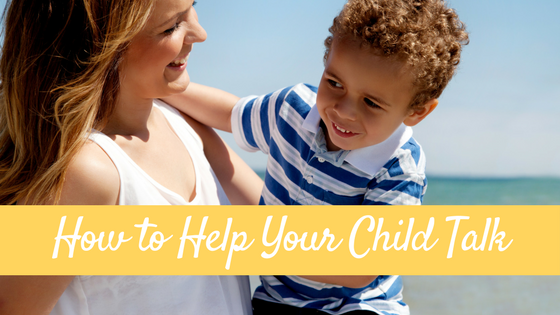 Example: Your child may point and grunt to an object he wants you to get him or even “tell you with his eyes” (and face and body) that he is interested in something my looking at the item, looking at you, and then back at the item with an excited facial expression. The First Words User – These children use single words (or signs or pictures). These children have developed the ability to communicate with a specific purpose in mind and have begun using symbolic ways to communicate (single words, signs or pictures). The Combiner – These children combine words into sentences of two or three words. These children communicate by stringing words together. 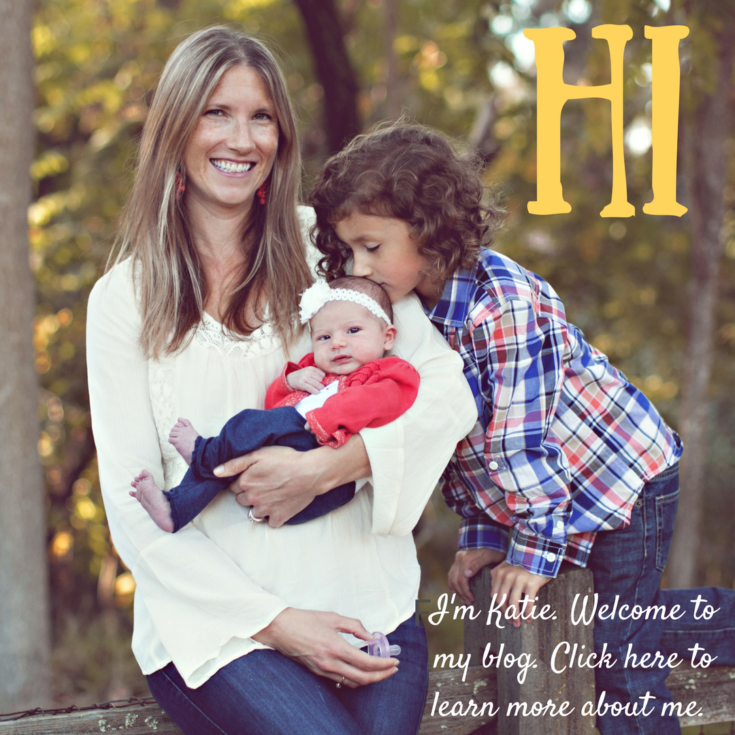 How do you know what type of communicator your child is? Guess what? The Hanen Centre actually has a great form YOU can fill out, which is available on their website for FREE! (It’s from their It Takes Two To Talk Parent Handbook ). As I mentioned earlier this month, May is Better Speech and Hearing Month and to celebrate, Hanen has a FANTASTIC page set up called ThePower of Parents. 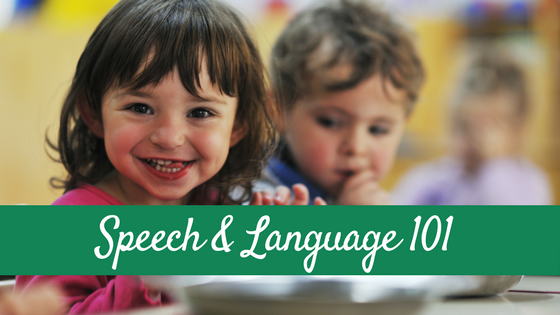 On this page, you will find the My Child’s Stage of Communication Checklist as well as some tips on How to Build Language at Every Stage for your child. Not only that, but make sure you check out the last section of the page called Seize the Power of Every Day. If you have been reading a while, you know how much I talk about how children learn language everyday within normal routines and activities. 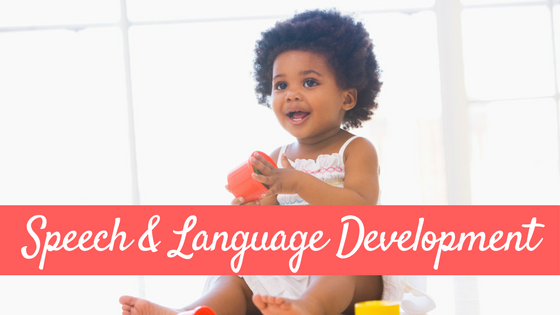 Hanen has some wonderful articles linked in the section that can help YOU build language in everyday activities and routines. 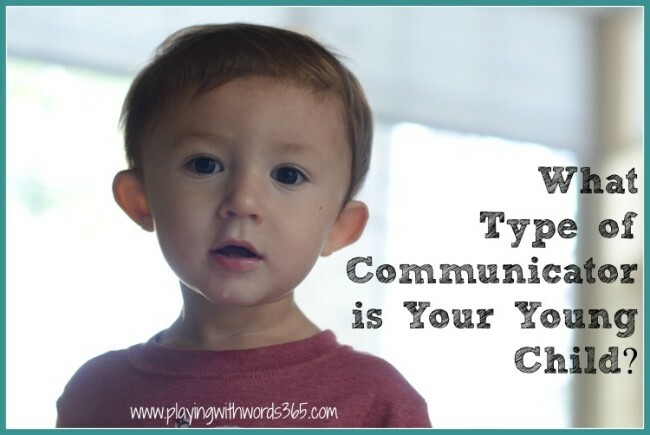 So tell me, what type of communicator is YOUR child? Do you find these terms helpful? Quick Note: I love the Hanen Centre and their It Takes Two to Talk program (you can read my review of the training session HERE). Though I did contact Hanen for permission to use their terms, they in no way sponsored this post….I just love their information and programs! I highly recommend the It Takes Two To Talk Parent Handbook if you have a young child with speech and language delays. Gavin’s style is most definitely “The Communicator” at this point. Although he gets very frustrated when we don’t understand what he is motioning for or wants… sigh. THANK YOU for all your posts and links to other resources!! My son Gavin is 2 yrs old, severely hard of hearing & has been wearing hearing aides full-time for 1 yr. We’ve incorporated a bunch of your tips & ideas into our everyday lives in order to help him catch up. He is also extremely resistent to speech therapy. The more we try to “make” him speak, the less he even babbles. He’s a very strong willed little guy and it has to be on HIS terms 🙂 So we do a lot of playing and narrating. Hi Erica, I am SO happy to hear that you are finding my information useful! 😀 Keep up the PLAY with him! If you haven’t yet, I really do recommend the Hanen It takes Two to Talk book, though it does not speak DIRECTLY to children with hearing impairment, there is still great information there. I hope his resistance to therapy will get better with time. Sometimes you just need a change of scenery, therapist, or methods. Good luck to you!! Hi Katie, I will most definitely check out that book. thank you! His poor speech therapist 😉 She was all business each visit and if he didn’t like the activity or her trying to make him talk he would just abandon it. I kept trying to tell her, “He’s just stubborn. Back off and let him come to you or let him lead what activity he wants to do.” She assumed I was wrong & that he might have SPD or another learning issue, it just had to be more than pure stubbornness after all! So she called in a behavioral specialist. But the behavorist confirmed what I’d suggested. So she finally admitted he’s just very bright & stubborn and changed the way she deals with him. And voila! He started interacting with her and participating!! I’ve referred her to your site by the way 😉 He’s not talking yet but some days I swear his babbling is right on the edge of actual words. Other days I dispair of his ever actually speaking. So we just keep plugging along 🙂 Thanks! Hi Erica! Well, I am thrilled to hear that the therapy is going better now! 🙂 I know it can be hard waiting for the first words…I am sure they will come soon. Keep me posted!! Love your site and your outlook to speech. My son is almost 3 and has just become a “communicator” we do most of our work thru play and always enjoy getting new ideas from you. Still no words but he has recently started pointing so I know we are moving in the right direction. He is a huge sensory seeker so speech thru play hits 2birds with one stone. Any advice on how to carry that on outside the home? He has a very hard time leaving the house because of SPD and it seems all communication go out the window. I used the Hanen communication style inventory with my parents all the time when I did birth-3. It really helped the parents to identify what style of communicator their child was and EVEN MORE helpful to determine what style of communicator they were using with their child. It helped bridge the gap, so that the parent could find more ways to get their child to communicate. Thanks for sharing!! Your links to the Hanen page aren’t working. To find out what kind of child mine is.